Aishah was elated to lift up Creative Interventions and INCITE Community News (Women and TransPeople of Color Against Violence) two survivor-centered collectives whose radical work focuses on community accountability in response to violence in her article. 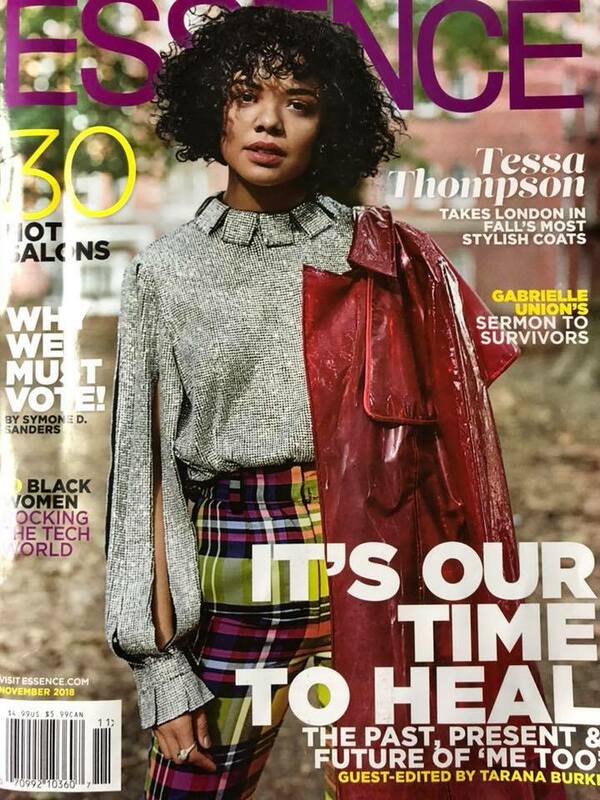 She grew up in two Black feminist, intersectional households, Essence Magazine and Ms. Magazine were definitely consistent staples in both of her divorced parents’ homes. When she became an adult, both Essence and Ms. were staples in her apartment. 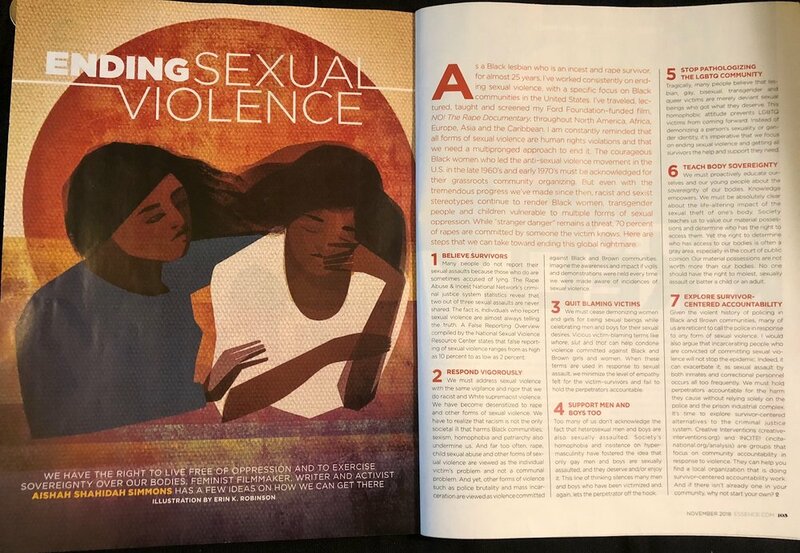 Given Aishah’s herstorical context, and the reality of the impact of sexual violence in Black it brought her immense survivor joy to be published in Essence for the first time in this moment.